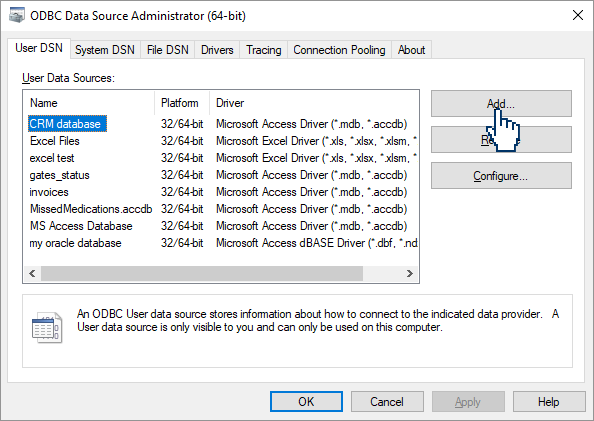 In case the ODBC driver for your database is not installed, download and install it. A full list of download links to the ODBC drivers for the most popular databases can be found here. 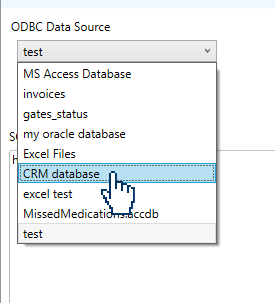 If you do not know if the ODBC driver for your database is installed continue normally with the next step and when the ODBC Data Source Administrator is shown (step number 4) click the tab “Drivers”. 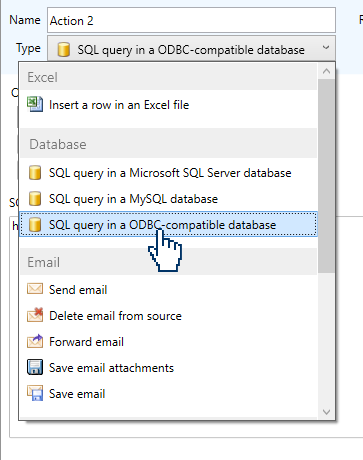 Create an action and select “SQL operation on an ODBC-compatible database” as the type. Click the “Add” button to create a new DSN (Data Source Name) with your own settings.